Steering clear of smoking habits, such as tobacco, and avoiding secondhand smoke. Getting active for at least a half hour every day. Maintaining a healthy weight, especially around the belly. Eating a diverse diet of protein, unsaturated fats, vegetables, fruits, and whole grains, while avoiding processed food. Keeping your alcohol consumption to a reasonable level, around 1-2 drinks a day for men and only about 1 for women. It doesn’t take a prestigious institution to figure out these solutions to heart health, as they are quite obvious. But smoking, diet, and fitness aren’t the only dangers to your health. The 10 less known habits listed below could present a danger to your heart health and should be avoided at all costs. It’s time to protect your heart as much as possible. Believe it or not, but your teeth play a much larger role in your overall health than you may think. The act of brushing and flossing regularly ensures a lot more than an attractive set of pearly white teeth. The General Dentistry Academy recently found that ¾ of Americans have a type of gum disease, namely from neglecting to floss. Medical research has suggested a link between gum disease and heart issues. So visit regularly your dentist and also read my previous article how to treat gum infection naturally. I’ve written about the dangers of sleep deprivation, and we know that in a hectic world it’s often tough to balance out a consistent and healthy sleep schedule as long days keep us from getting the recommended 7-9 hours of sleep. Sleeping too much or too little however, can be disastrous for your health. Harvard medical research found that inadequate or excessive amounts of sleep can mess with the release of hormones in your body. With hormone imbalance come more serious threats such as heart disease, heart attack, obesity, and stroke. For some reason many people let high levels of anxiety and a lack of drive keep them away from the doctor’s office. Sometimes it’s the small unusual symptoms that turn into life threatening conditions if they are ignored. One of the most shocking things about negative heart habits is the fact that these habits don’t have to be completely physical. While sleep and hygiene are important, there are other factors such as stress and anger that are unexpectedly harmful for you. Harvard Professor Laura Kubzansky states that those who build up their emotions and experience sudden outbursts of anger are much more prone to heart disease. Try relaxing and venting your emotions often to avoid letting rage affect your heart. You can get some ideas of how to relieve stress in my previous article. The air you breath on a daily basis is sometimes laden with unknown chemicals and substances, especially in particular work environments and large cities. The American Heart Association recently stated that pollution from cars, industry, and burning wood indoors can all present danger to your heart. The inflammation caused by breathing in these substances without care leads to serious cardiovascular problems. The power of positive thinking goes beyond pseudo science. Recent studies have linked a positive mindset to a healthier heart and lower risk of disease. So try seeing the half full glass, especially when it comes to your health. This will make your life happier and healthier. Also read my article about the 25 habits of people who are happy, healthy and successful. Many people are well aware of the dangers that steroids present to overall health, yet they are a continually abused this substance. The modification of hormones and natural bodily processes throws your body into a state of confusion. While steroids may strengthen your muscles, they have also been shown to weaken your heart and it is not clear if this weakening is reversible or not. Secondhand smoke might seem like just an offbeat stench lingering around after a cigarette, but the Center for Disease Control states that within that stench, there are an excess of 7,000 chemicals, hundreds of which have toxic properties that can and will hurt your health. Don’t downplay the risk of lingering around secondhand smoke like many people do. If you or someone you know smokes, designate an isolated area for it where it won’t affect other people. Pregnancy by itself is a stressful and risky situation for many women. Those who have had a coma or seizure during the pregnancy are twice as likely to develop some form of heart disease. Stay mindful of any difficulties you might have experienced during pregnancy and ask your physician whether or not they impose a risk for future heart issues. 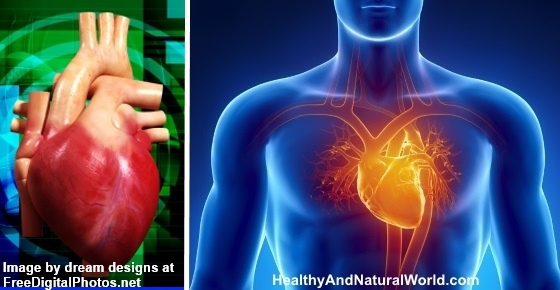 There are several types of autoimmune conditions that might contribute to heart disease, despite their seeming irrelevance to the heart. WebMD states that around 50 million people, mostly women, suffer from an autoimmune condition in the United States. The connection between autoimmune issues and heart health isn’t clearly defined by medical research yet, but experts suppose it has something to do with inflammation response. If you are a smoker, do whatever you can to kick the habit. This is one of the habits to stop right now if you want to be healthy that is mentioned in my previous article. Focus on foods that are rich in vitamins and antioxidants. Fish and omega-3 fatty acid supplements are essential for the heart. You can get more information in my article about the amazing health benefits of omega 3. Find a hobby like biking or yoga to keep you happy and healthy. Stay mindful of your sodium intake and avoid highly processed foods. There are many harmful ingredients for your health in processed foods, and you can get more information about them in my previous article about the top 10 worst ingredients in food. Maintaining a good heart health is also one of the 70 habits featured in my e-book 70 Powerful Habits For A Great Health which will guide you how to take positive steps to improve your wellness and overall health. Please send me cardiac medical information and prevention of heart disease. Point #1; What ‘studies suggesting’ are we relying on for this assumption? In my experience, only getting all the minerals you need in supplementation form can prevent and help your body reverse disease such as gum and heart problems. The clinical studies done by Dr Joel Wallach for the NIH (National Institute of Health) prove my point. Everytime they use terms like, ‘studies and suggest’ they are barking up the same wrong tree they did before with eggs and coffee….I don’t buy those phantom ‘studies’ or ‘suggestions’ at all. Get some real evidence before you try to steer people toward a change. Fluoride does more damage than good to your health, read the published studies on that. Hi Tim, I have links along the article that refer to the relevant studies. Excellent health tips. God bless! Do you have any suggestions to reverse stiffening of the arteries? You can reduce symptoms by adapting lifestyle changes such as regular exercising which helps maintain the health of the vessels leading to the heart including strengthening the heart muscle itself, stop smoking, controlling blood pressure, controlling diabetes, maintaining proper oral hygiene (there is a link between periodontitis and atherosclerosis – see more about it here) and a healthy nutrition (Mediterranean-style Diet – see here).